As we all know the first day of September is the start of the new school year in Hogwarts. 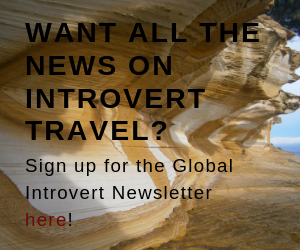 The perfect opportunity to tell you all about the day I travelled on the Hogwarts express. And visited Hogsmeade. And Diagon Alley. 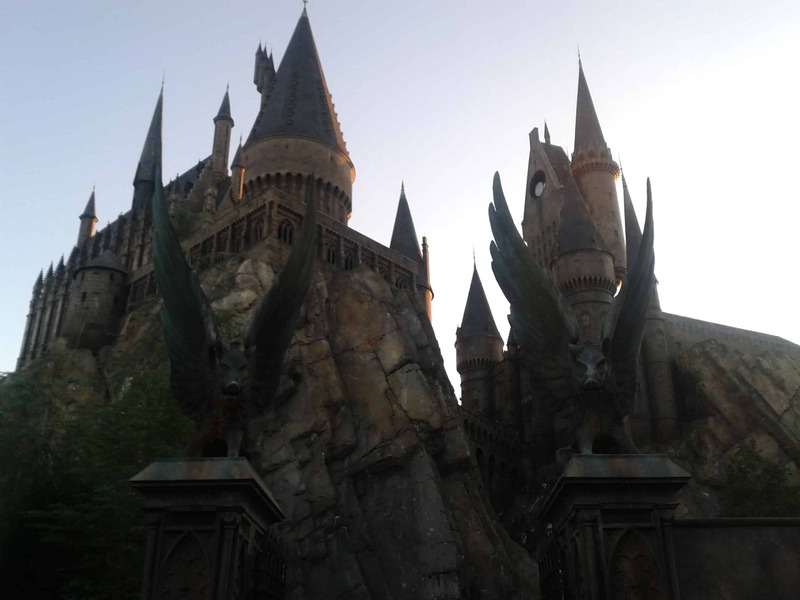 All of that happened at a magical place known to the muggles as The Wizarding World of Harry Potter in Orlando, Florida. I was visiting an Aussie friend who was working at Disneyworld Orlando for a few months. While we spent most of my days there running around all the Disney parks, there was no question we had to spare one day for Harry Potter World. 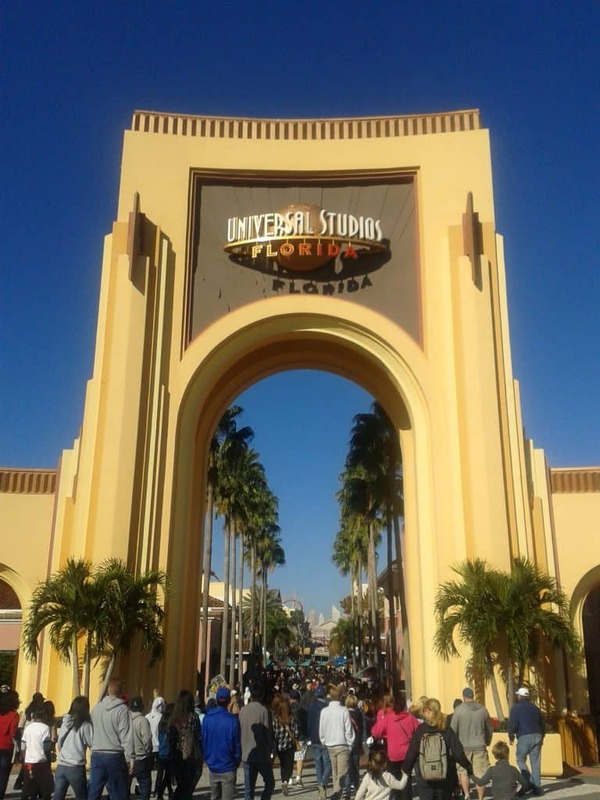 The actual theme parks that Harry Potter World is integrated in are Universal Studios and Islands of Adventure. The two parks belong together and are right next to each other. 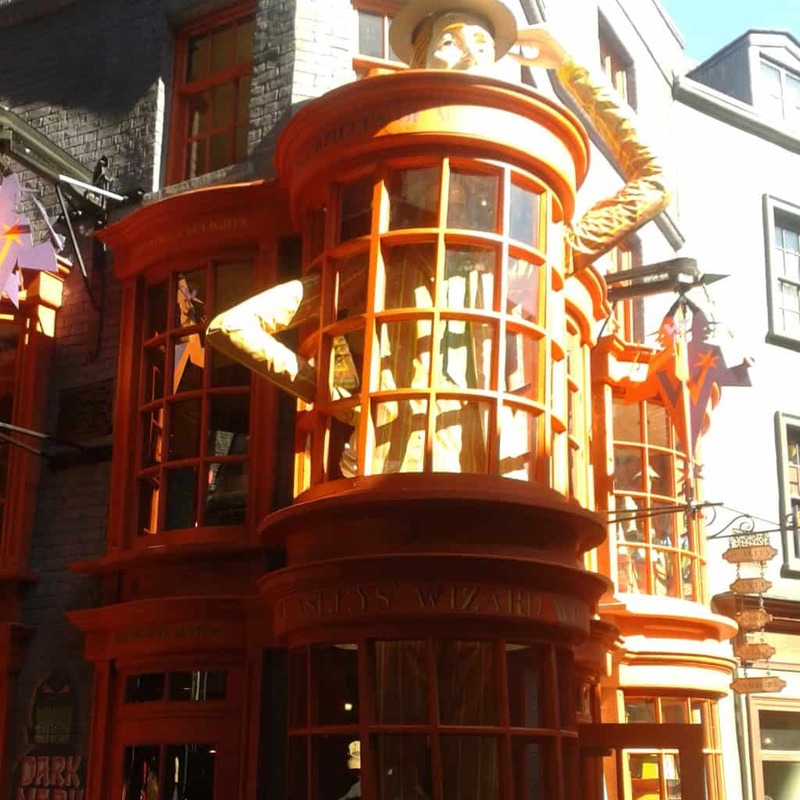 If you want to visit all of Harry Potter World you’ll have to get a combination ticket for both, because Diagon Alley is based in Universal Studios and Hogsmeade in Islands of Adventure. 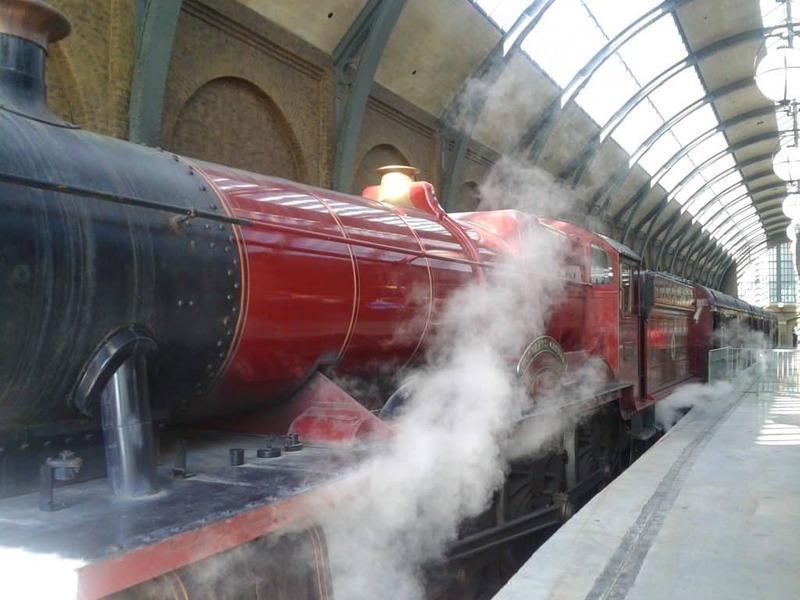 If you visit both you get the chance to take the Hogwarts Express to get from the one to the other, and while it’s a lot more expensive there was no doubt we would have to do exactly that. 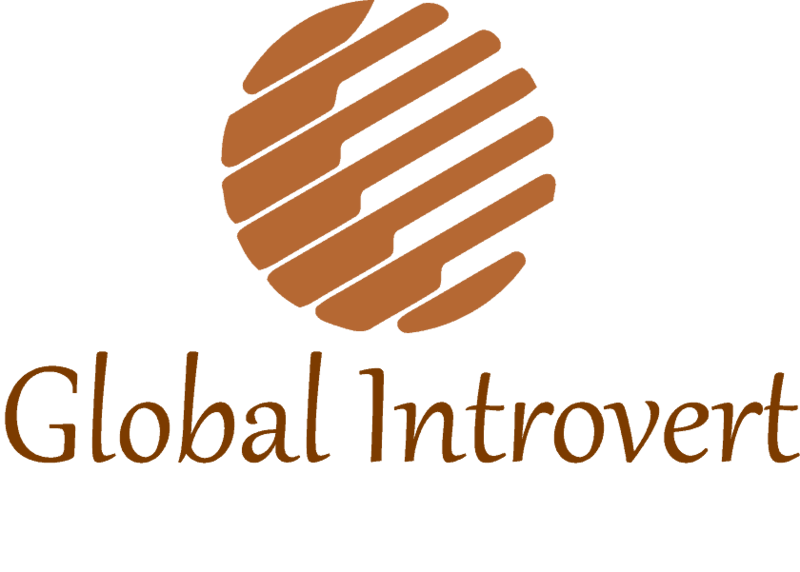 We started in Universal Studios, which contains the London part of the Harry Potter park. Namely Diagon Alley and King’s Cross. 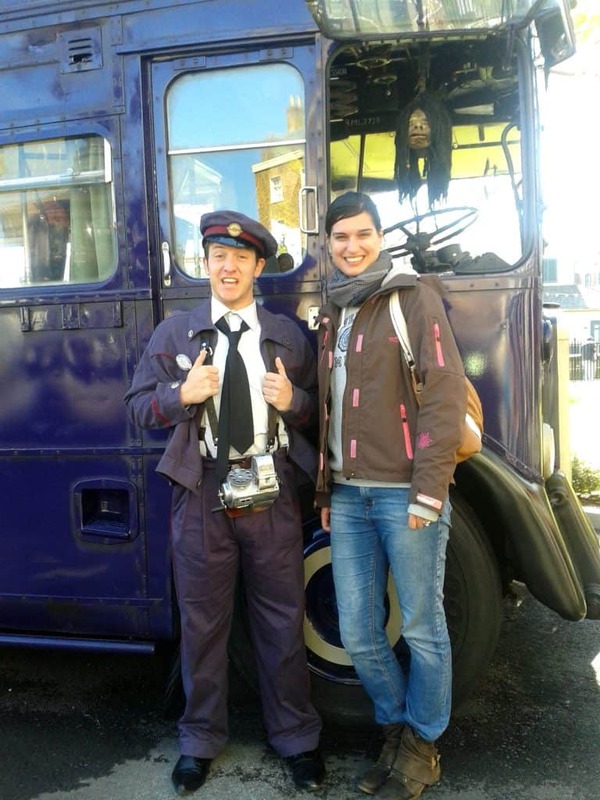 The first thing you stumble upon before entering either of them, however, is the Knight Bus. 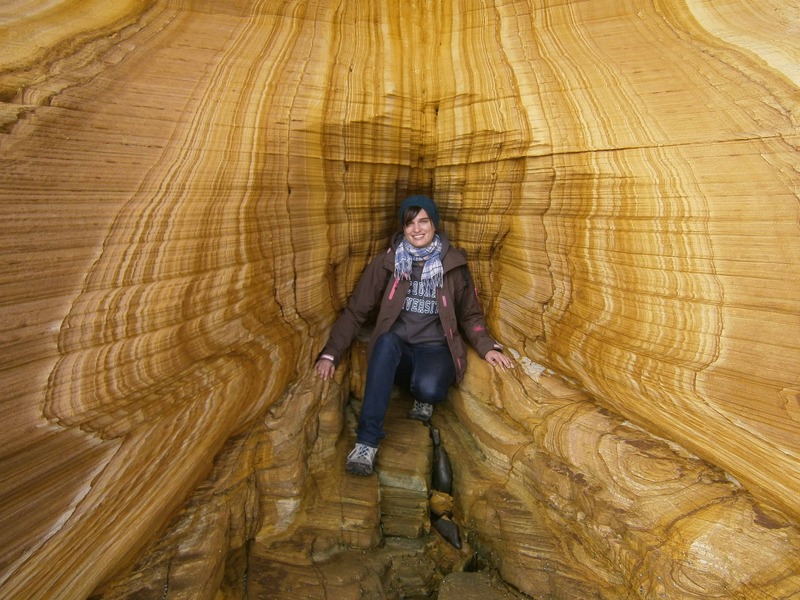 You can go inside, check out the seats and beds, and obviously take heaps of photos. The driver was there too, posing for pictures and entertaining visitors. Next, you enter through the hole in the back wall into Diagon Alley itself. It feels like walking into the movie. There’s Ollivanders, Weasleys’ Wizard Wheezes, and all the other shops known and loved from the stories. 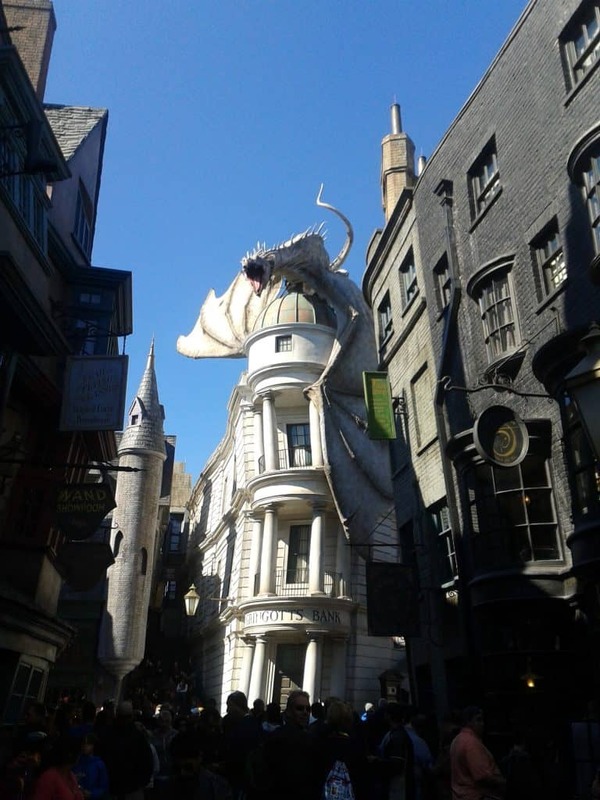 Gringotts Wizarding Bank sits at the end of the street, complete with a fire-breathing dragon on the roof. Inside you find one of the rides, and while you queue you walk through the fancy entry hall of the goblin bank. So don’t be disheartened when the queue is long (which it usually is), the waiting is almost as exciting as the ride itself. Obviously you can buy any kind of Harry Potter memorabilia in Diagon Alley. You can try on Hogwarts uniforms at Madame Malkin’s. You can buy Bertie Bott’s every flavour beans at the sweet shop. If you’re lucky you might even get a wand chosen for you at the tour inside Ollivanders! Or, if you feel sinister, you can find the entry to Knockturn Alley and look for something a bit darker. Whose to say the dark arts don’t have their attractions? 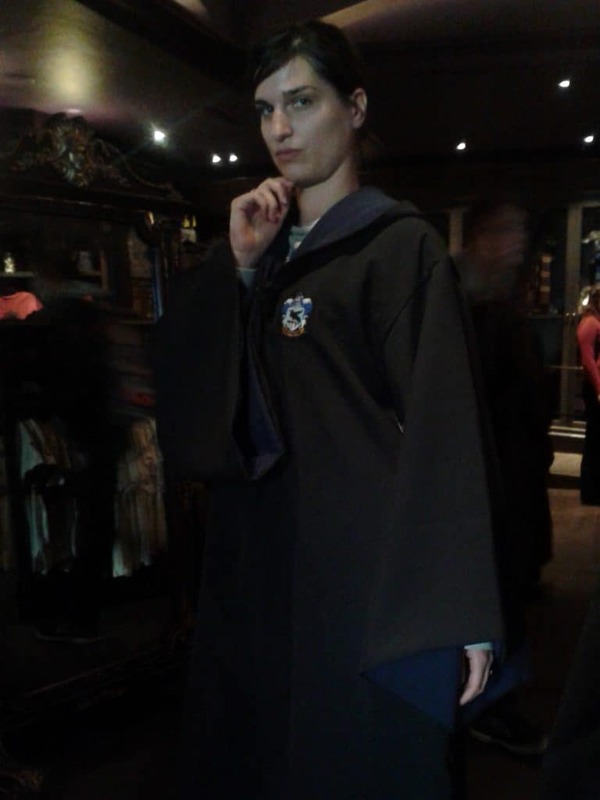 I always knew I’d look fab in Ravenclaw robes! Finally, when you’ve completed all your necessary shopping at Diagon Alley, it’s time to board the Hogwarts Express to Hogsmeade. Of course, you could also walk through Universal Studios over to Islands of Adventure, but why would you want to be such a muggle? You enter King’s Cross and pass through the wall onto Platform 9 3/4. Once on the train you find yourself a seat and enjoy the ride. The train soon leaves London and heads out into the countryside. The closer you get to Hogwarts, the more likely you are to see some magical creatures outside. But be careful, in case a dementor walks past! 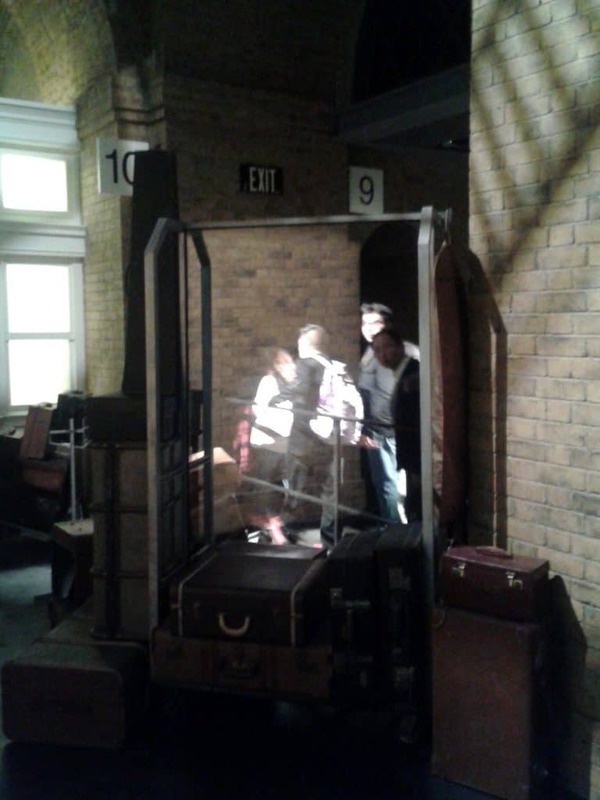 By the way, the muggles say it’s all just a film screened onto the window, but us wizards know better, right? Right?? The journey on the Hogwarts Express ends at Hogsmeade. The village has the same variety of stores as Diagon Alley, so if you found you forgot something important you can purchase it here. But then, it’s really time to visit Hogwarts. Or in other words, go on the ride they put inside of the castle model that overlooks the village. Again, the queueing was almost as exciting as the ride. You wait inside of the Hogwarts walls, being given safety instructions by moving pictures and the talking hat, before the ride takes you through all the important Hogwarts locations. While there are some other rides in Harry Potter World, the Gringotts and Hogwarts ones were by far the most exciting! 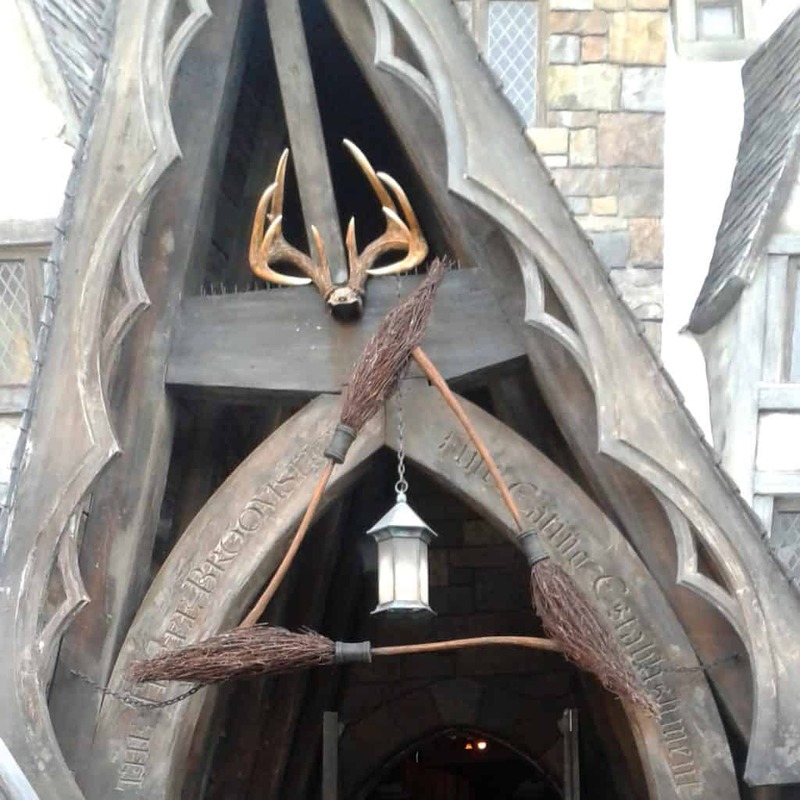 Afterwards, I recommend going for a butterbeer in the Three Broomsticks to relax a bit after all that excitement. The interior of the pub is cosy and homely. You can choose whether you want your butterbeer warm, cold, or frozen. As we were there in November and it wasn’t exactly hot outside, we went with warm. It was the right choice. Absolutely delicious! 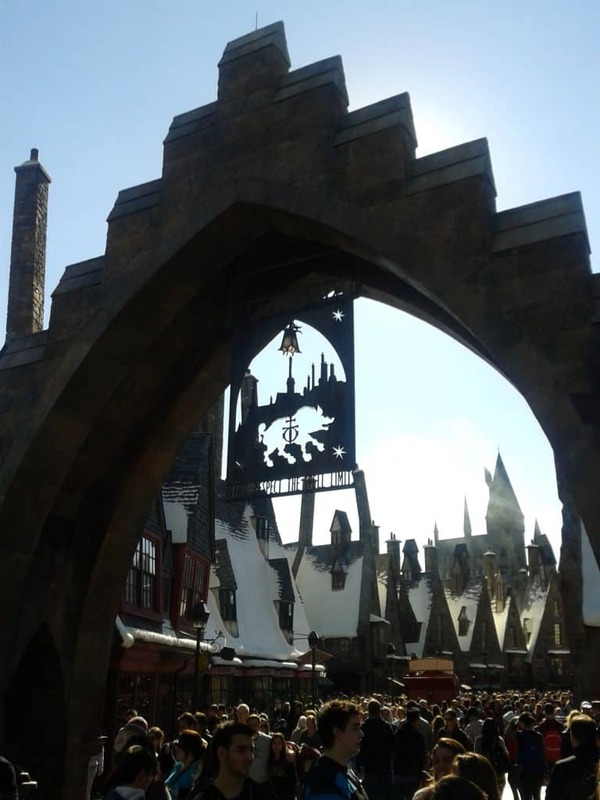 Harry Potter World is built with so much love and appreciation of the stories, you really feel like you’re inside them. It’s absolutely worth getting a ticket for both parks, just to be able to enjoy the whole experience. If you’re in the area for longer you can also purchase a ticket for multiple days. In that case, price difference between attending both parks or just one becomes a lot smaller. If you have the time, it’s a bargain. It’s been almost 3 years now since I went, and I heard they are building new rides and attractions. I guess I’ll have to go back one day. But then, who wouldn’t want to go back to Hogwarts anyway? 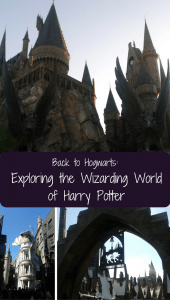 Have you been to Harry Potter World? How did you like it? Did you try butterbeer? Share in the comments! You just blew my mind! I had no idea there was a Harry Potter World. I’ll have to visit one day.